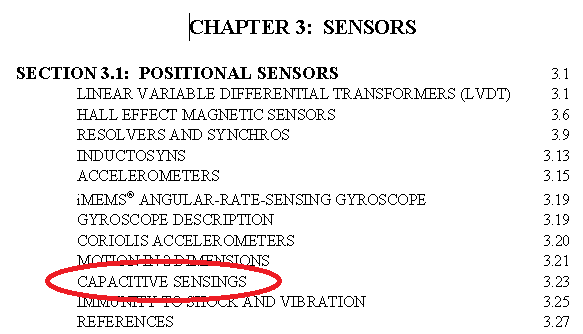 This page is about capacitive sensing methods. For information about capacitors in general, see the Capacitor page. Capacitive sensing is a widely used technique for proximity detection, touch-screens, level measurement, and distance measurements. It is used in the more expensive touch-screens found in today’s smart phones (as opposed to the cheaper and poorer performing resistive touch screens), for contact-less buttons (see page on Capacitive Touch Sensing), the distance measuring mechanism in digital callipers, liquid level measurement and much more. 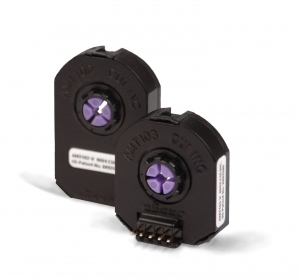 The CUI AMT100 series capacitive encoders with up to 2048 counts per revolution. Image from http://www.engineerlive.com/Asia-Pacific-Engineer/Time_Compression/Capacitive_encoder_offers_versatility/22119/. Linear capacitive sensors measure a linear position change (i.e. not rotational). The following image shows the typical dimensions of the linear encoder typically used in digital calliper design. 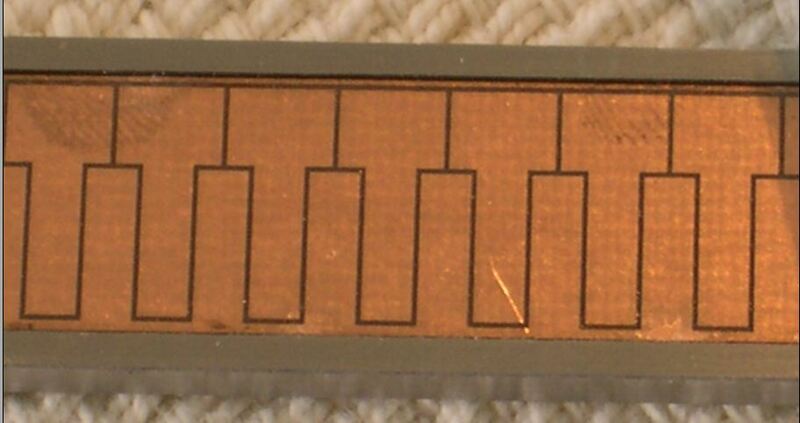 A zoomed in photo of the capacitive linear encoder pads on a digital calliper. Image from http://www.iceinspace.com.au/forum/showthread.php?t=80356. 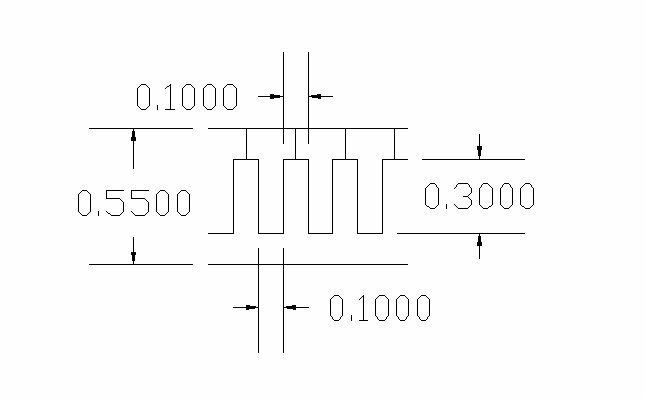 The dimensions for a capacitive linear encoder commonly found in digital callipers. Image from http://www.iceinspace.com.au/forum/showthread.php?t=80356. Rotational capacitive sensors can be used in similar situations to those that use optical encoders.